Posted 3:44 pm by Tristan & filed under . Today’s episode is a little different to others; I speak to Brent Huffman, a filmmaker with a passion for a site in Afghanistan Mes Aynak is under threat from a Chinese mining company who wish to perform open cast mining on the site to acquire the copper ore underneath. In this episode, Brent describes his motivation for travelling in a very dangerous part of Afghanistan and what he saw on site; I ask him about how his opinion of archaeology has changed over the course of filming and he describes his frustration with the politics of the site preventing meaningful salvage of the history. Some of the things talked about are very difficult to hear and I want to put a slight disclaimer for listeners to be aware of some of the occupational dangers of working in this part of the world. Posted 12:55 pm by Tristan & filed under . Today I speak to Ed Gonzalez-Tennant about Anarchism and Archaeology, archaeology in the American south and how to apply these kind of ideas to methodology. We explore what anarchism means, why some warn its a death wish to write about and how to topple the hierarchies of knowledge and history to provide a level field for everyone. I completely lost it at one point so be prepared. I hope you enjoy listening to Ed as much as I did. Posted 10:00 pm by Tristan & filed under Articles. 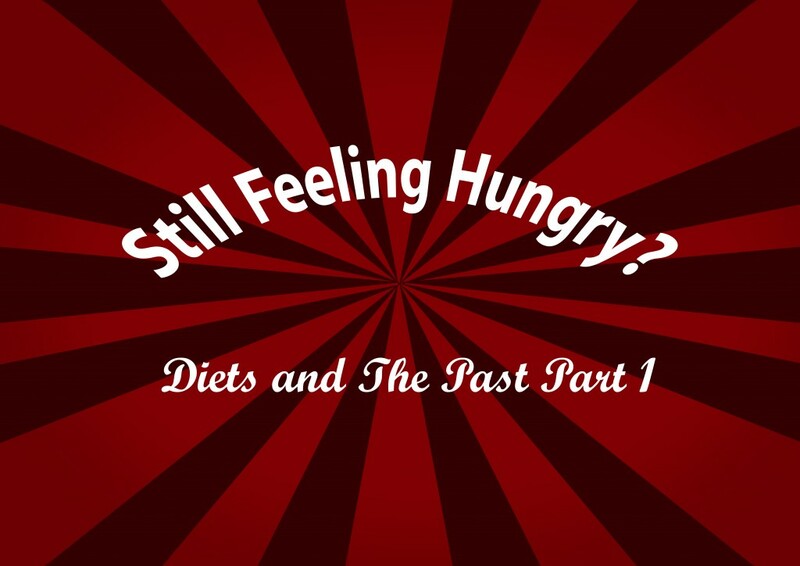 The way to the past is through their stomachs, or so the modern media would have you think. Recently the diet of Neanderthals made the news with the discovery of bird bones (rock doves) in analysis of Neanderthal poo, around 50,000 BP; this discovery has been hailed as new and exciting since it shows that Neanderthals could hunt birds. The topic of Neanderthal diet has come up in the past (This is actually not a bad article, considering its the Daily Mail) and I think its great to have some interesting topics about diet discussed in traditional media; however it seems (to me at least) that there is a fascination with the diets of the past. This manifests itself in many ways, of course the research mentioned above but also the creation of ancient alcohols such as made by Dogfish. This brings an important question in, should we make the food of the past an important part of our study and presentation? Also potatoes aren’t allowed, according to this handy wikihow, a travesty of the highest order. Posted 1:00 am by Tristan & filed under . In todays episode I have a conversation with Doug who runs the website open access archaeology. In addition to this website which has lots of handy links, he runs a twitter account @OpenAccessArch which tweets out links to thousands of open access articles to read to your hearts content. OpenAccess has been causing a stir in academic circles but now more than ever, the paywall between the public and papers is being slowly dismantled. Posted 12:00 am by Tristan & filed under . On today’s podcast I talk to Harriet and Dr Lorna Richardson about community archaeology; we discuss what it means in theory and in practise as well as responding to the phrase “archaeology is community archaeology or it is nothing”. How can community archaeology bring people together? What does it mean to people? These questions and many are discussed in this downloadable podcast. Today’s episode is in two parts; first I talk to Tom Goskar who is the creator of the original Archaeocast and what it was like first podcasting back in 2004, what the future holds and he ends up quizzing me at certain points. The second guest is Mr. Soup, creator of the ArchaeoSoup Channel on Youtube; we get angry at people talking about Stonehenge and talk about the future of archaeology. Archaeological ideas are in videogames but not where we expect, its time to excavate the electronic forms of art. Video games have already become one of the most used forms of media in the 21st century. It is difficult to find someone who doesn’t know of videogames, and if you are a certain age, it is difficult to find someone who hasn’t played a game. But in terms of archaeology, videogames haven’t got the best representation. Games that people are familiar with that feature archaeologists are Tomb Raider and Uncharted but are these games archaeological? To try and answer this question we have to look at what videogames currently offer. As pointed out by Daniel Garcia-Raso video games have like other media forms presented “ an old-fashioned and idealised vision picturing the archaeologist as a treasure raider that gets involved in an epic adventure to decipher the secrets of past civilizations embodied in artefacts. This image, popularized by Indiana Jones, meets the detective nature that some archaeologists from the Nineteenth Century or early years of Twentieth Century, like Heinrich Schliemann or Howard Carter, wanted to present as typical of Archaeology” (2011). The idea being that ‘real archaeology’ consisting of measuring and spending days of back-breaking excavating is boring and such activities would translate poorly in game mechanics in an action game. He goes on to say that “Because of their nature of audiovisual spectacle and entertainment system, video games tend not to be realistic, with the recurrent appearance of colossal and supernatural enemies, which defy physical and biological laws as well as mythologies and fantasies.” However if we understand that videogames aren’t realistic then what they represent are ideas about the past, possibilities about the past. Surely interpretations based on evidence are the same, ideas and possibilities about the past? Posted 9:10 am by Tristan & filed under . Welcome to the Anarchaeologist Podcast – In today’s episode we take the first tentative steps into the world of Archaeology and videogames. My guest is Andrew Reinhard, self proclamined “Punk Archaeologist”, publisher and runs the Archaeogaming blog. 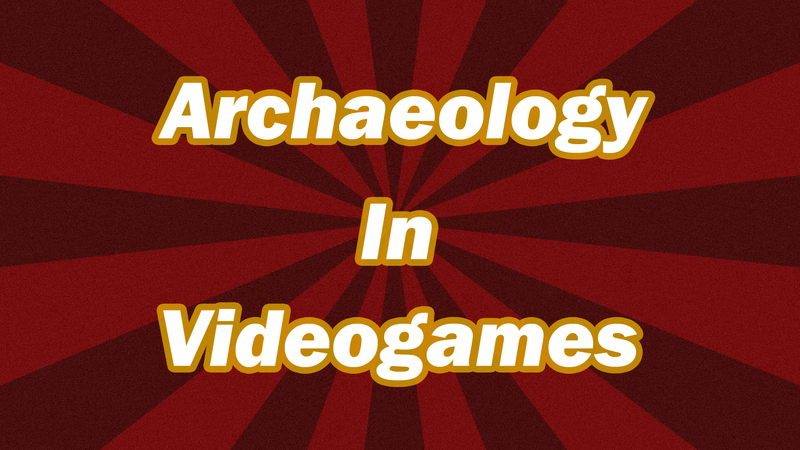 We discuss archaeology’s representation in videogames, archaeology in Skyrim and World of Warcraft and the future of archaeology in the gaming industry! The Anarchaeologist Podcast arose out of a piece I wrote for the Institute for Archaeologist Scottish Group Student competition; in 500 words I summarised my own experiences of moving away from a pure chemistry degree into a joint with a major in archaeology and how I felt about the need for archaeology to engage with the community of the general public. This led me to consider the ways in which I could talk about and bring up discussion about areas in archaeology that were overlooked or topics of research that were dealt with in academic terms. I began podcasting at 16, creating the Northern Ireland Gaming Podcast before moving to Negating the Premise and then to Mosh On the Radio interviews. 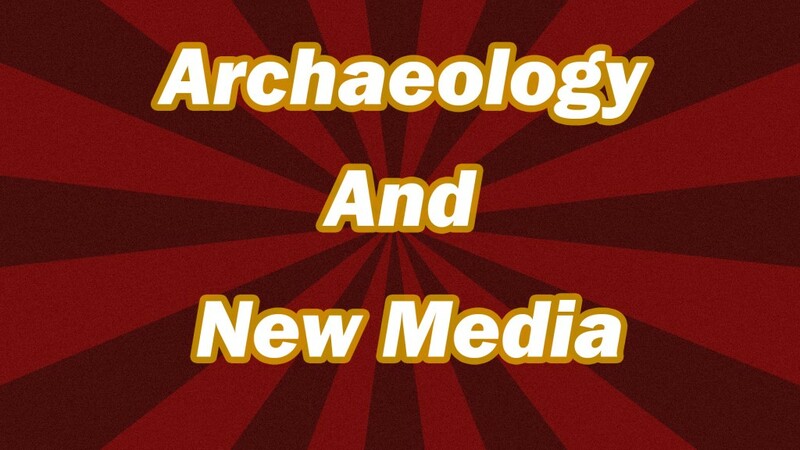 It is my hope that by creating these podcast shows and their subsequent discussions, I can try to add the conversations about history and the past in modern society, although I would like to point out that I am only a graduate and not a professional archaeologist. That is why I would like all listeners to consider this project non-academic, however I hope that by including references to research and talking to archaeologists at the front of their fields that I can create something useful and informative. Anarchaeology in this context is not primarily concerned with anarchy in the past (however that will be addressed at some point) but instead attempting to draw experiences and viewpoints of the past not just from “experts” but the community of the general public. Therefore emphasis on how archaeology presents itself and is perceived are important points in this. Consider Anarchaeologist as a wide angle lens on archaeology as it seen today.